Recycling bin. Image: Steven Depolo, Flickr. The Michigan Department of Environmental Quality (DEQ) is offering up to $500,000 in grants to improve local recycling programs and boost the state’s recycling rate. Critics argue that this isn’t enough to pull the state up from one of the lowest recycling rates in the nation. 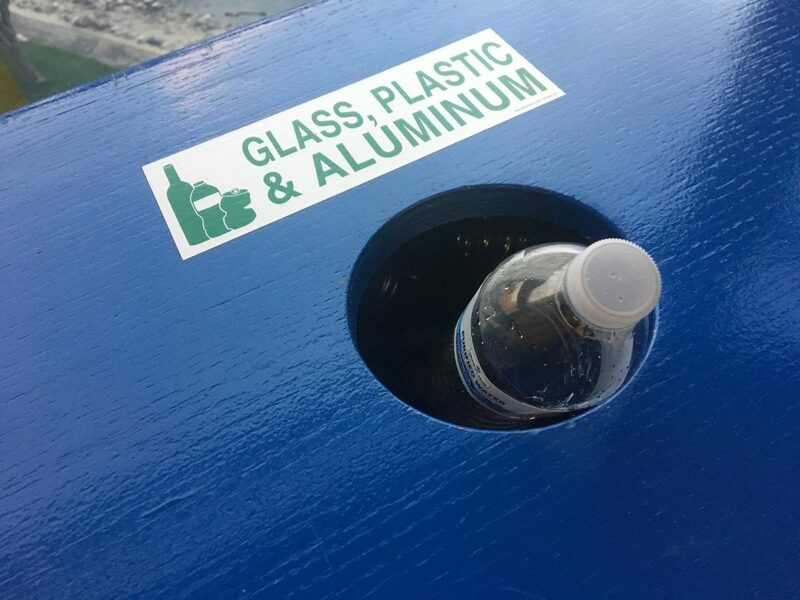 The goal is to assist with recycling infrastructure including public space recycling, bin-to-cart transitions and public drop-off recycling locations, said Elizabeth Garver, a DEQ recycling specialist. Public space recycling is when bins are placed in public parks and city streets to encourage people to properly dispose of recyclables rather than throwing them in the trash. Eligible applicants include cities, villages, townships, charter townships, counties, tribal governments, municipal solid waste and resource recovery authorities, school districts, health departments, colleges or universities, and regional planning agencies. Such groups can receive up to $100,000 from the state if they match at least 25 percent of the grant, Garver said. Michigan has provided more than $2.5 million in recycling grants to local communities over the past five years, Garver said. In Michigan, only 15 percent of recyclable materials is recycled, Garver said. The national average is about 34 percent. San Francisco is one of the nation’s best recyclers with a rate over 70 percent. “Michigan’s recycling goal is to achieve a 45 percent recycling rate and improving infrastructure is definitely a step towards achieving that goal,” Garver said. Emmet County is one of the state’s leaders in recycling with a 40 percent recycling rate, Garver said. In 2015, the DEQ approved an $80,000 grant to replace Emmet County residents’ 18-lb. recycling bins with 64-lb. carts to use for recycling, said Kate Melby, communications coordinator for the county’s Department of Public Works. Emmet County has 13 drop sites for materials that may not be picked up by a traditional recycling truck, such as paint, mattresses and motor oil, Melby said. All of the county’s residents live within six miles of one of these drop sites, making it convenient for people to dispose of their recyclable goods, Melby said. Emmet County recycling also serves surrounding counties, including Cheboygan, Presque Isle and Otsego. That includes processing recycled goods and marketing them to businesses throughout the state. While the grant money is beneficial, critics argue that it’s insufficient to improve recycling programs throughout the state. The department is vastly underfunded and it has been for years, said Kerrin O’Brien, the executive director for the Michigan Recycling Coalition. A Senate bill proposes to increase the landfill surcharge to raise funds for improving recycling infrastructure and allow for more industry oversight by the DEQ, O’Brien said. But other looming legislative moves could harm the program, O’Brien said. Legislation was recently introduced to end Michigan’s 40-year-old bottle deposit law. An end to that program could leave residents without access to recycling programs, she said. “If the can and bottle receptacles are removed from supermarkets and other stores, I worry that those without access to other forms of recycling will end up throwing out these items out,” O’Brien said. The landfill surcharge and the bottle repeal would have to happen before the end of the year to go into effect. The application deadline for the recycling grant program is March 1.